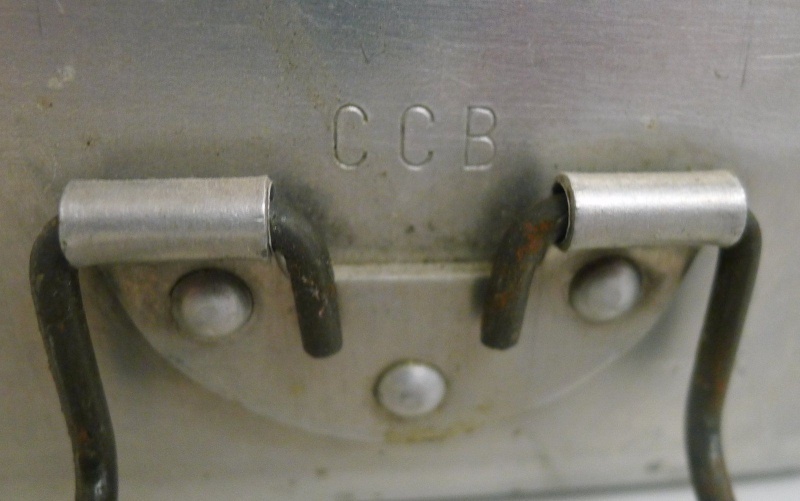 Also, what does CCB stand for? I have seen it stamped in mess tins and button sticks and was wondering if it could be "Canadian Copper & Brass"
I have a Canadian mess tin in my collection made by G.A. L'HOIR, LEVIS, Q. that is also stamped with a C broad arrow and no date. I like to think it's SWW vintage but have no evidence to back this up. But why did all they all refuse to date their tins? 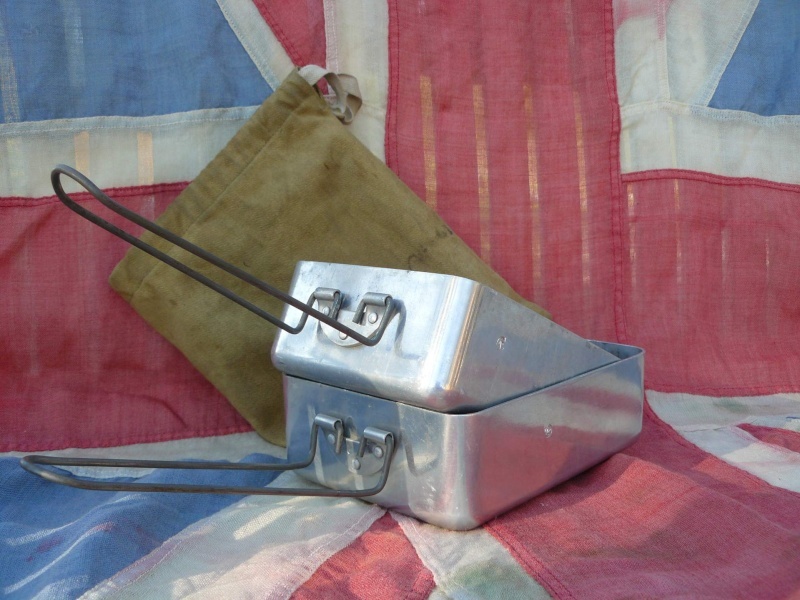 I have a set of unissued Canadian made "W.D.S&Co DURO aluminum" mess tins, C broad arrow that I am fairly certain are WW2 vintage. That's in keeping with the rest of your phenomenal collection 48th! 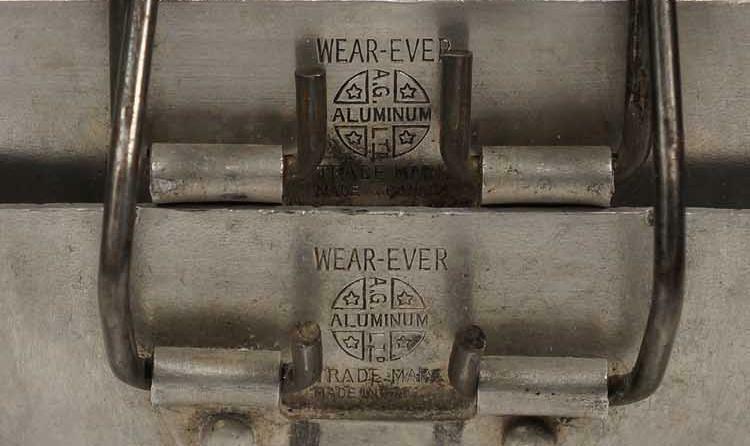 Do you think these aluminum Canadian-made tins were used early in the war? If not, what did Canadians use while at home in Canada? They probably would have had British-made ones once they went overseas. I have also yet to see a WWII DATED set of Canadian made mess tins. Lots of British dated ones but never a Canadian set. 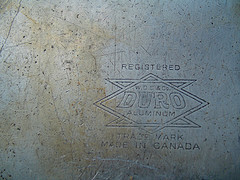 The makers mark on mine is similar to the Duro marked example pictured in your original post second from the bottom. 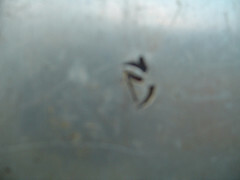 I will email you a picture of the markings on my tins Monday. In response to your question I am not really sure when the Canadian made mess tins would have seen use exactly. 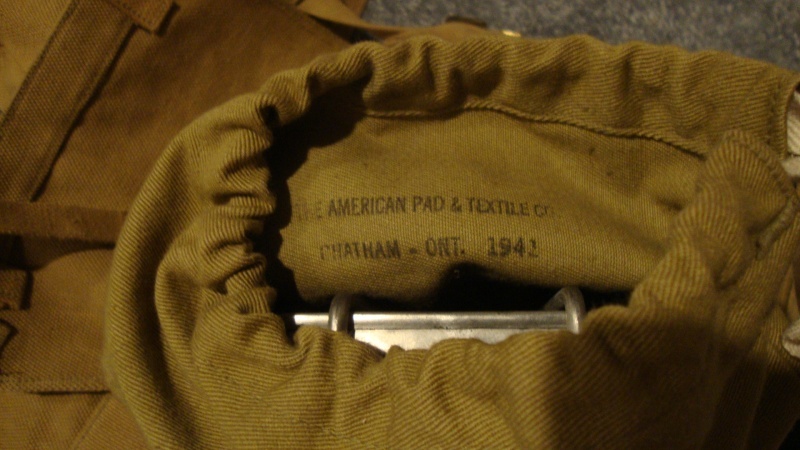 As we all know Canadian soldiers leaving for war in 1939-40 were issued P08 webbing and at some point were issued British made P37 webbing and equipment after arriving. I would suspect that later in the war Canadian soldiers arriving to Europe from Canada would have had Canadian made webbing and equipment as industry ramped up. Most of my WWII interest and research focuses on the Italian campaign, having talked to many vets on the subject of equipment and rations I have been told that while the Canadians were under the British 8th Army the were issued almost exclusively British rations and equipment "and the worst of it" as some veterans have said. Even rations dating from the First World War. When the 5th Canadian Armoured Div arrived the food and equipment got better. As for Canadian soldiers on the home front as it relates to mess tins, in my opinion and from what I have seen in pictures they were using great war or interwar made items and as time went on, new webbing was produced and distributed so were the new mess tins. This discussion an a very basic item, the mess tin, has really got me thinking. I have a mess tin that came direct from an RCEME veteran, along with his complete Battle Dress, Beret, Gaiters, Blackened Web Belt, medals and a bunch of other items, including his utensils. The grouping is being stored at my fathers place. I will really have to look at his mess tin to see what markings are on it. I will be visiting him on the 15th September. I look forward to hearing what you find on your mess tuns. Thank you guys for all of your insight and comments! It's great to hear the combined experiences of such knowledgeable collectors! I recently stumbled on the following site that discusses an engraved mess tin used by Canadian that was captured in Hong Kong during his POW years. 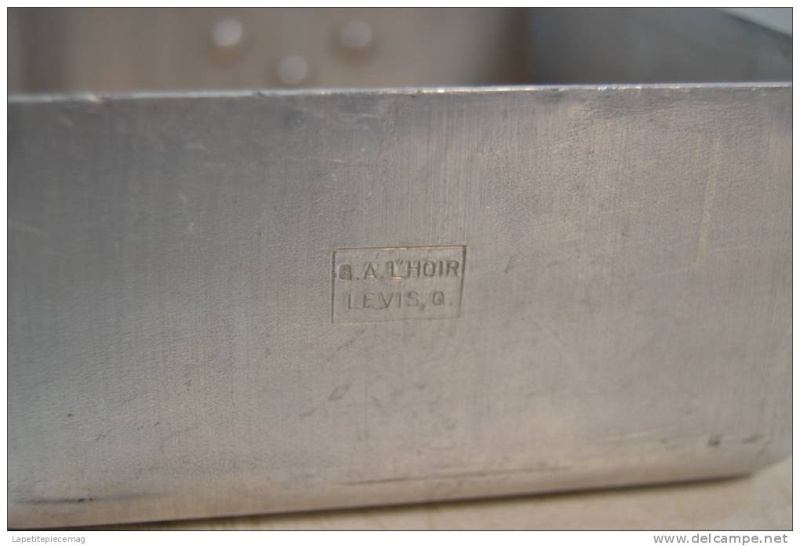 The mess tin is of the early aluminum type an the article states that "the side with the handle attached has the name of a company located in Birmingham stamped on it with the date, 1939." It also claims that the mess tin must have originally belonged to a British soldier stationed in Hong Kong because of its origin. What do you guys think? Do you think Canada imported British mess tins in the early war years and issued them to C Force or is this an item picked up while serving in the colony? Does anyone know the official nomenclature for these bags? I don't seem to be able to find reference to them in my 1945 copy of the Priced Scales of Issue. That's what I was looking to confirm. It has always been my understanding that these bags were intended to carry rations and while they fit the mess tins that was not the original purpose. Hmmm...I always thought that these Canadian bags were far more similar to the British "cover, mess tin" (made obsolete by the British c1941 for economy reasons) than the far more basic "bag, ration, Mk.IV"
So they may have started as mess tin covers but were re-purposed as ration bags. That would make both nomenclatures correct depending on the time period you associate them with. Is there a catalogue listing of Messtin cover for these Messtins - I have never seen one. It is just a coincidence that the Messtins fit inside a Ration Bag. 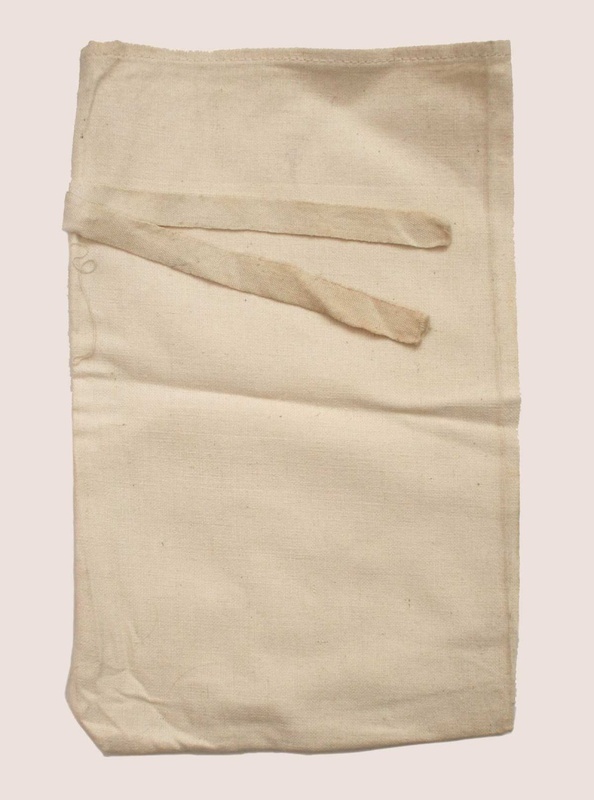 The issue of Ration Bags for the Canadian Army was continued well into the late 1950s using up the WWI and WWII stocks. I have conducted a little bit of research this morning and found these details. Thanks for looking up those details Ed! It is interesting to note that 'retinned' mess tins are mentioned. I wonder if they are referring to British-made steel mess tins, because I've never seen a steel example of a Canadian tin. 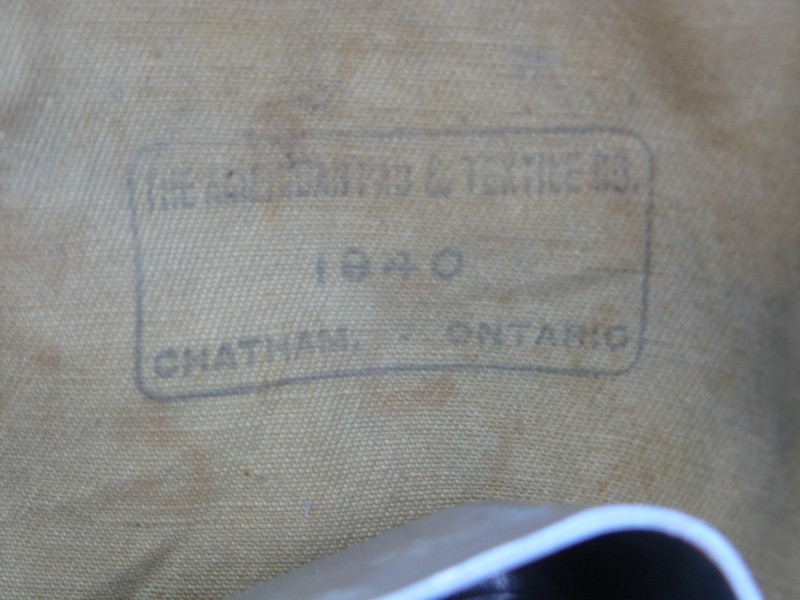 As for the ration bag, the MkIV nomenclature and the fact that there was WWI stock makes me think that this order is referring to the style shown below, not the type with the drawstring and Canadian KD that we are discussing. I suppose it's possible that "Bag, ration, Mk. 4" could have different meanings in Canada and the UK, like the Pattern 1925/1919 webbing sets. This is probably what the Canadians did as well (perhaps this is the source of the confusion today?). This is interesting, the trademark that appears on these tins seems to have been filed in 1961...is it possible these were made that late? That trademark in the link is similar but not identical to the one on the mess tin. Regardless, I do believe these aluminum mess tins were used at least into the 70's and perhaps even the 80's so it is conceivable that they were made up to that point. The Wear-Ever Messtins were issued with both the 1951 and 1964 Pattern web (in the 1970s) and were indeed used into the early 1980s.